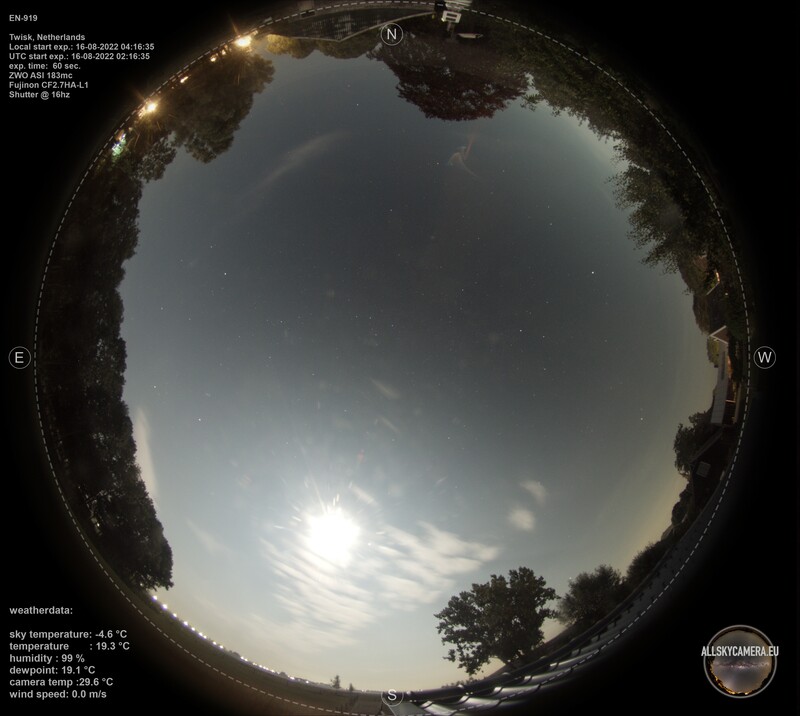 This is an image of my allsky camera at the observatory. It is updated every 300 secs.. Below the data of the AAG cloudsensor. The data is then broadcasted with the Solo webserver. Video of last night’s images. Updated every morning after capturing till dawn. Filesize is large so be sure to watch this with high speed internet.